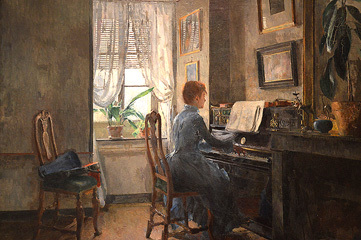 Two of Norway's greatest women artists were Harriet Backer (impressionist painter) and her sister Agathe Backer Grøndahl (pianist and composer). 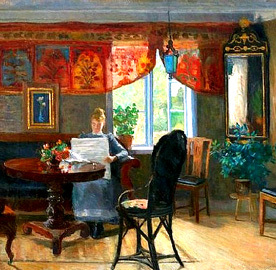 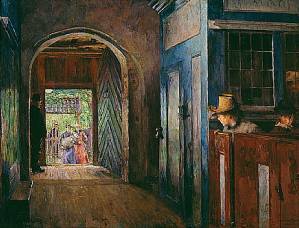 Born into a prosperous Oslo family in business, Harriet Backer studied in all-female private art schools and later in Munich. 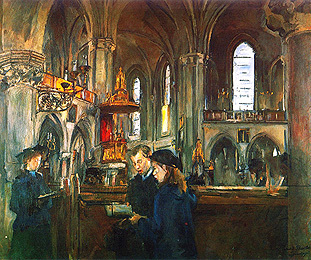 Evidently she was known for her interiors and her ecclesiastical pictures of the old Tanum Church in Baerum, Norway. 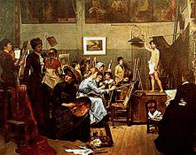 The art school she established in 1889--Pultosten in Oslo--became the forerunner of the National Art Academy. 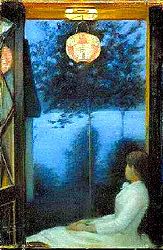 exhibited in Fine Art Palace, 1893 Exposition. 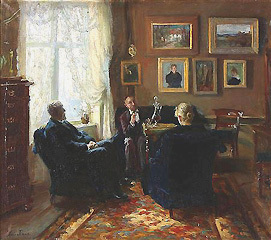 The granddaughter of Supreme Court Attorney Christian Magnus Falsen, Mimi Falsen was born in Bergan, Norway to the writer Enevold Munch Falsen and his wife Bolette Marie Gjerdrum. 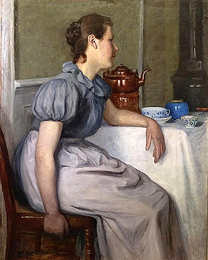 In 1887-9, she studied art in Paris at the Académie Colarossi and, in the following year, at the Académie Bouvet with Puvis de Chavannes, the important symbolist. 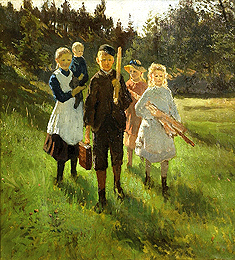 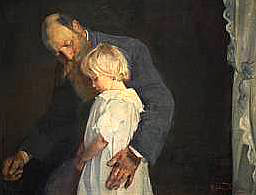 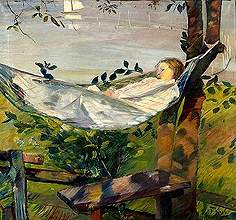 Later she continued her studies in Stockholm under Richard Bergh and Anders Zorn and then in Copenhagen under Niels Skovgaard and Viggo Pedersen. 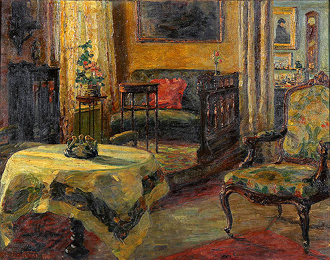 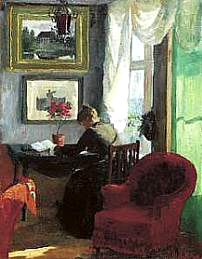 Moving back to Norway in 1905, she started the Painting Federation to promote the number of women artists exhibiting, and, in 1931, the Artistic Association of Artists. 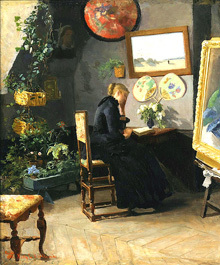 Born in Stavanger, Norway into an affluent family, Kitty Kielland was not allowed to study as a professional artist until age thirty when she began studying privately under Hans Gude in Karlsruhe because women were not allowed into the usual (all-male) landscape classes. 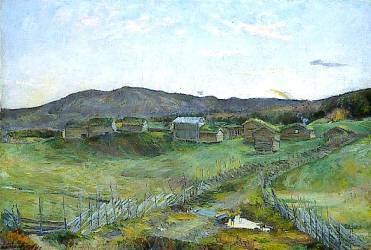 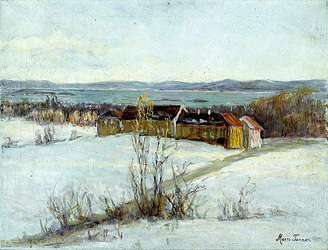 She received further training in Munich and Paris where she became close friends with impressionist artist Harriet Backer. 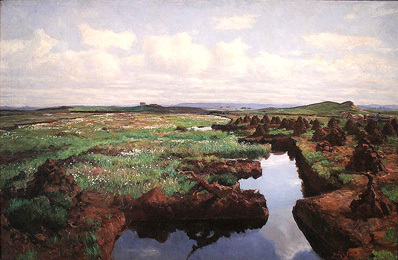 Kielland is known for her realistic paintings, often with tonal effects, of the Norwegian coastal region called Jæren. 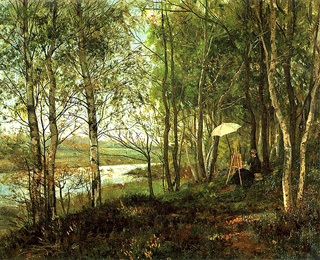 Her brother, Alexander Kielland, was a well-known author. 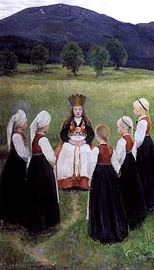 Oda Krohg was born in Oslo, Norway. 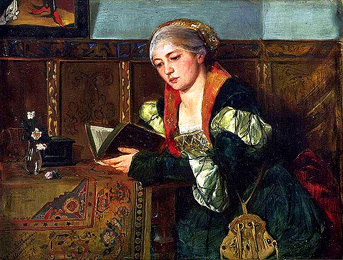 Her father was a public attorney and her mother's ancestors included a Russian princess, but Oda led a very bohemian life in artistic circles. 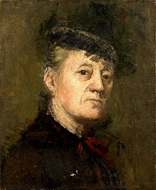 After her first marriage to a businessman ended, she began studying with artist Christian Krohg whom she eventually married although the marriage was punctuated with public affairs with various artists such as Munthe. 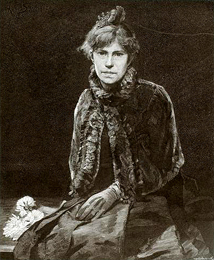 The Krohgs were also members of the radical socialist "Kristiania-bohemene," a group of upper-class intellectuals, writers, and artists who dealt with controversial issues like urban poverty, prostitution, and sexual bigotry. 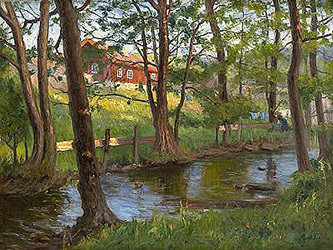 Helga Ring Reusch was a Norwegian artist who was born in Gamlebyen (Fredrikstad). 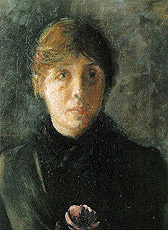 She studied at Erik Werenskiold (1885), at Christian Krohg's School of Painting, with Gerhard Munthe (1887), at the school of the painter Puvis de Chavannes in Paris, and at Harriet Backer's School of Painting. 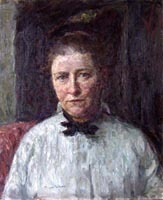 She married geologist Hans Reusch. 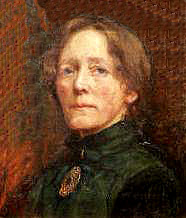 Agnes Steineger was born in Bergen, Norway where her father, Peter Stamer Carlsen Steineger, was a merchant. 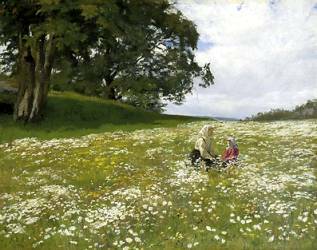 Her mother, Ingeborg Cathrine Leonardsdatter Hess, passed away when Agnes was twelve. 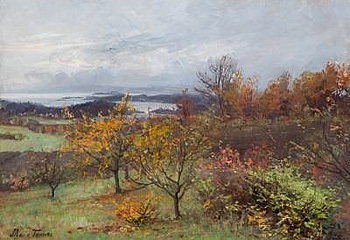 She began studying painting in Bergen with Anders Askevold, followed by studies for several years in Munich with the Danish painter Bertha Wegmann and later at the Académie Colarossi in Paris with Gustave Courtois. 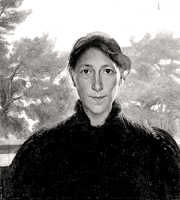 She was active in the Bergen Anthroposophical Society until she was 100 years old. 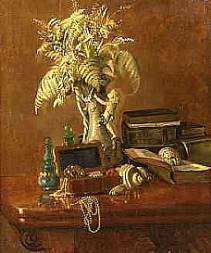 Marie Tannaes was born in Oslo and attended the Drawing School in Kristiana where she also studied with several Norwegian artists. 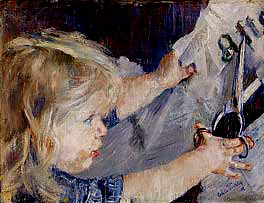 Her subsequent studies were in Paris with Gustave Courtois and, later, with Puvis de Chavannes, after which she traveled in Italy. 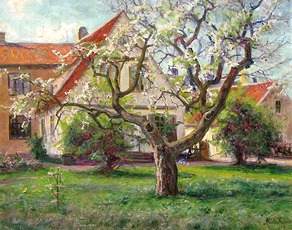 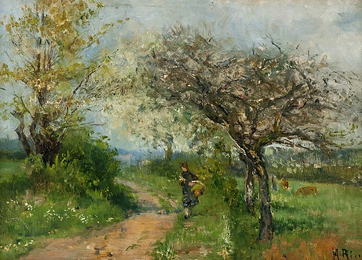 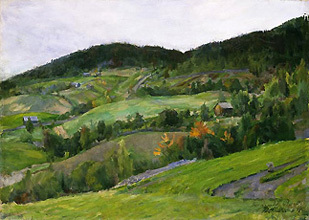 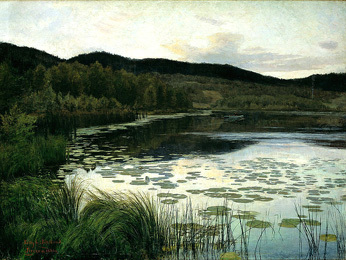 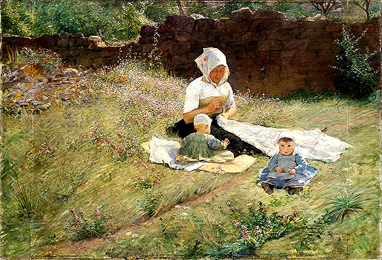 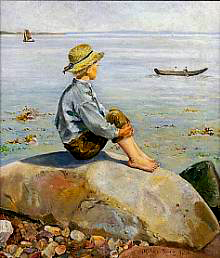 She exhibited her naturalistic landscapes often in Norway, Germany, and France.